Since I got my first advance copies of the book, it’s been exciting around here. They are not perfect, of course. That’s why they are not the final deal yet. The formatting is not perfect and there are other little diddle-daddles, etc. The lettering on the hardcover is pushed too close to the edge of the wrapping too. There are tweaks that need to be made, and since changes cost money, I won’t change them until I get some editorial reviews to print on the back. In the meantime, today we are launching the publishing company! I mean, it’s been running, but we haven’t officially “announced” it. Today is the day! We’ll try to tell everyone far and wide. It’s taken a bit of work, with lots more to come, but as of the beginning of the year, we are up and running. We would have announced ourselves the first week of January, but there were still bumps and glitches. Then, I realized: there will always be bumps and glitches in everything. What’s perfect? So, without further adieu, here is the press release for Desert Dog Books. I will be announcing it on its own as well on all of my social media thingies today too, so don’t be surprised if you get bombed. I know I’ve kept saying it, but now I really am getting back into the studio, because I am putting some semblance of a show together with my book signing in April at Craig Krull Gallery. It will open Saturday, April 13th, and I think I’m probably going to schedule the signing/reading the day of the opening–maybe an hour before it starts (pending confirmation with Craig). And remember when I said I was thinking about making a special edition of the book? (Of course you don’t! Is it your job to remember the things I say? I sure hope not!) Well, the planning stages of that began as soon as it became a thought. I sat down in front of my computer, closed my eyes, and pictured what it was all about. I woke up about an hour later and began typing out the plan: a hardcover cloth bound, lettered edition. They will come with a loose, or tipped-in (haven’t decided yet) 8 x 5 inch watercolor and ink painting on Arches 100% cotton hot press #140. Additionally, they will have an original drawing on an added blank page. I’ll use a hard color pencil. 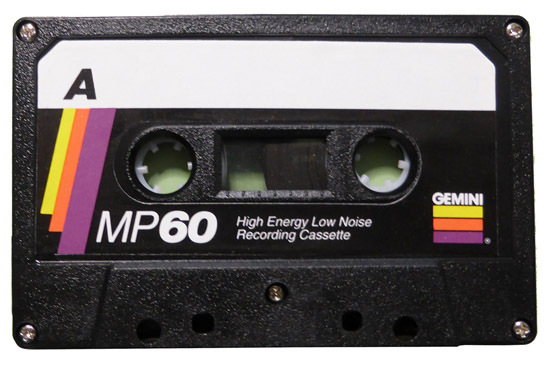 True to the 70s and 1980s, each book will come with a 60-minute mix tape on cassette, which you very likely won’t be able to play. That won’t matter, because it’s a collectors item that will one day be worth one-meeeelion dollars. The tapes come in a plastic sleeve, wrapped in a special box with a “period” sticker–to use a movie term. Anyway, more stuff may come with this edition that I haven’t thought up yet, and I imagine I’ll sell them in the $150 range. But we’ll see. I want to make them as affordable as I can. They will be at the signing, or you will be able to buy them on the Desert Dog Books site. So great to here this news! Reasonknot and Dont Try!